Welcome to the Yoga Studio! New Student Special! Two weeks unlimited yoga for $20! 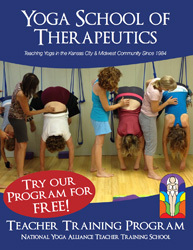 Welcome to The Yoga Studio, Kansas City’s first and premier yoga school for over 30 years. 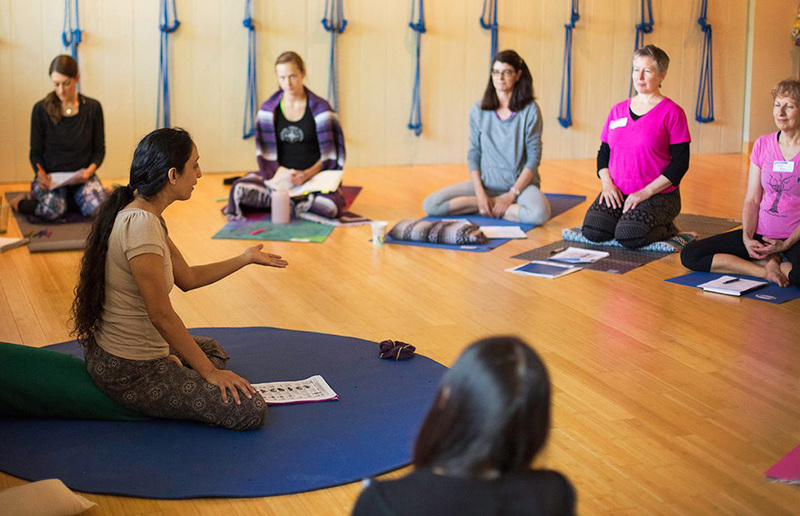 With fully certified teaching staff we offer classes ranging from Beginner-Advanced Hatha (Traditional Yoga), Iyengar, Restorative, and Special-focused classes to aid healing areas of discomfort and instability! We have an in-depth Teacher Training program with world class teachers as well as in house highly trained staff. We believe that no student is to too stiff or “inflexible” for yoga. It’s all about finding the right props and modifications to make the poses work for the individual’s needs. Many of our students are using yoga as way to rehabilitate injuries after surgery or as a way to prevent it. The Yoga Studio is truly a place to learn, discover and enjoy your yoga practice fully. Take a look through our class schedule and if you have questions about which class might be the best fit for you, please contact us – we’d love to talk with you! Are you interested in becoming a yoga teacher? Whether you are looking for a career, a way to share your passion of yoga with others or learning more about yoga to deepen your own practice, we have the most flexible yoga teacher training program around. We are a registered Yoga Alliance school offering 200 hour and 500 hour programs. Doug Keller at The Yoga Studio! Please join us as Doug Keller once again comes to the Yoga Studio to spread his wealth of knowledge. Doug will cover a variety of topics including; The Key to Movement and Bandha, The Lower Body, From Hands to Heart, and The Natha Revolution in Hatha Yoga. This yoga workshop is open to all levels of students. Students new to The Yoga Studio can attend 6 classes for just $55! That’s less than $10 a class! Stop by and see why The Yoga Studio is Kansas City’s premier yoga spot! As a healthy, athletic executive, I took a hard fall from an orchestra pit and wounded my back with bulging discs, suffering from a lot of pain for a long time. I found the yoga school and within six months most of my pain and suffering amended. Today I am fully recovered from the structural damage and I regularly attend classes, free of pain. I am forever grateful to the teachers at the Yoga School. While in California training in a yoga certification program for weeks on end, I pulled my knee practicing advanced yoga without proper contraindications. I found The Yoga School and started practicing the yoga that helps rehabilitate weakened joints, especially knees and ankles. Within a year, my knee is free of pain. I owe a lot to the Yoga School for their knowledge on knee therapy. Being free of knee pain allows me my joy to teach yoga, sail, walk, dance and love life. After my husband’s death from cancer, I felt depleted both body and soul. Quite lost, a friend encouraged me to take yoga classes at the Yoga School. I regained my strength and spirit. By the end of the year, the kind-hearted teachers at the Yoga School helped me to lift my grief and ease the sadness of losing my husband. With severe scoliosis, I felt the benefits of yoga in my home practice. After seeing how I had the freedom in class to direct my movements and withdraw form poses often not suitable for scoliosis, I have taken yoga classes at The Yoga School of Therapeutics now for years. I am thrilled to attend a yoga school that gives me freedom in class to direct poses suitable for scoliosis. In class, the teachers have helped ease my aches and pains and gave me support and hope. I love this place.